There are some pretty signal boosters available in market which can only boost or amplify weak signal. But these products can’t bring unavailable towers. You can buy external antenna for this purpose but this antenna is a cheap replacement of that. You can use a stick aerial for this purpose and I’ve tested that it’s better than that. The setup in my house brought international signals from 5KM far tower. You need to locate the external antenna connecting point in your mobile. In most mobiles, it’s below battery battery compartment or in backside of mobile. Connect an aerial antenna with it and be sure it’s ground isolated. If the antenna is somehow connected to ground, it will not function properly. place the antenna in outdoor and use a wire to bring the connection to room. The image showing an mobile board with the connection pin marked. Note: Provide a cover on antenna as you are placing it outdoor, it may get electrical charge from environment which is harmful for your phone. Comments on this article before 07-12-2011, here jump to recent comments. thankx arup. but do i need those circuit components like the previous one. May 31st, 2011 at 10:32 pmNo. Just find the external antenna connector pin, and fix a wire using a thin pin and connect the other end of wire to stick antenna. SIR I NEED THE CIRCUIT DIAGRAMS ANDD OTHER DETAILS OF THIS CAN YOU PLEASE MAIL ME? August 11th, 2011 at 1:28 pmThe approach I told will work in any GSM/CDMA phones and also in modems. 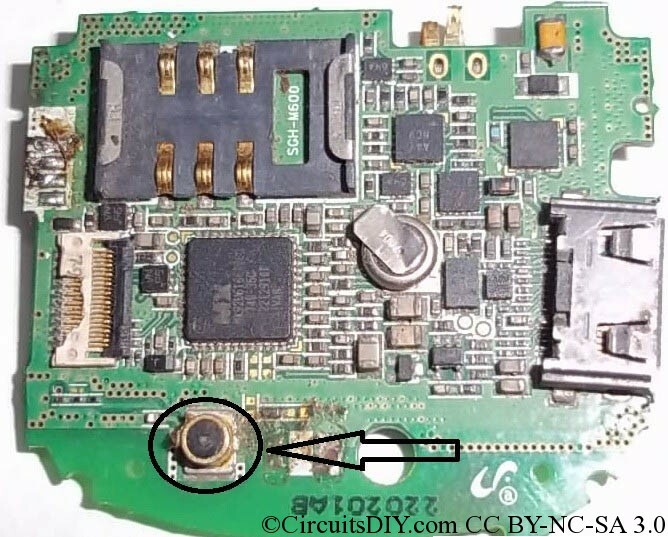 You need to open the cover and find an antenna connector in the circuit board. The connector looks like the golden color tip I shown. With help of an soldering expert, solder a thin wire to the mid pin of the antenna connector and then attach an stick antenna there and keep the antenna untouched to ground, or anything. Even cover the whole antenna by dry plastic cover. You can use cellotapes too. August 18th, 2011 at 3:51 pmYeah sure. 99% chance the antenna connector is beneath the rubber cap. November 14th, 2011 at 5:28 pmhey what is the price of that Mobile signal booster. where i will gets it ? i m from mumbai!! November 15th, 2011 at 6:03 amYou need to buy an telescopic antenna which costs max 20-30Rs. I NEED THE CIRCUIT DIAGRAMS ANDD OTHER DETAILS OF THIS CAN YOU PLEASE MAIL ME? sir please tell me about how to boost data card (dongle) signal. 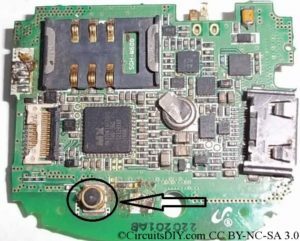 where connect the antenna wire on data card pcb. do you have any circuits to improve usb modem signals ie to capture 3g signals from faraway tower? I’ve never heard about any such circuit or a bluetooth signal booster.